Friends! I am so proud to say that one of my art journal spreads has been published in a book. 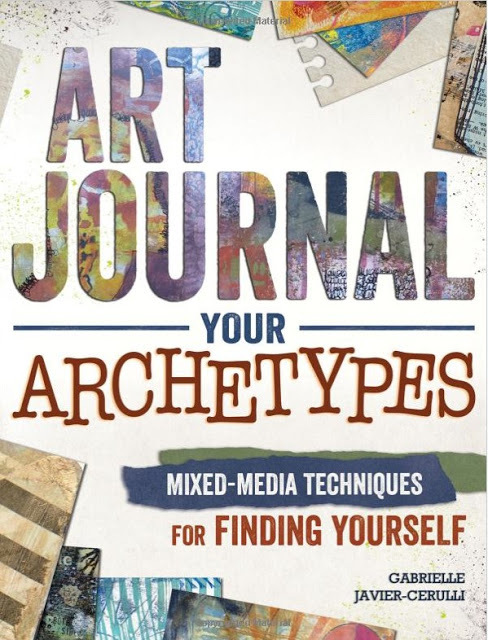 Gabrielle Javier-Cerulli contacted me more than a year ago and offered me a chance to participate in an online class called “Art Journaling Your Archetypes“. She talked about the archetypes that she defined as such and helped me to find eight of them that applied to me. I made a few art journal spreads about my archetypes which included the Goddess, the Lover, the Warrior and the Mother and the Inner Child. In any case, I found out a lot about myself and I loved the process of intergrating this to my art journaling. Gabrielle chose my warrior spread to put in her book and I’m grateful and proud to be in the company of so many amazing and inspiring artists. Congratulations!! This is AMAZING!! Can you share the spreads that didnt make it in? !